Photo: The Secretary, Department of Higher Education, R. Subrahmanyam, the Minister of State for Human Resource Development, Dr. Satya Pal Singh, and the Chairman of the University Grants Commission (UGC), Prof D P Singh, launching the Leadership for Academicians Programme (LEAP), in New Delhi on November 13, 2018. 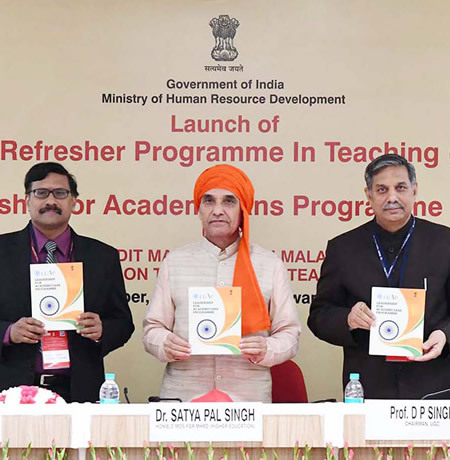 New Delhi, November 13, 2018 — Dr. Satya Pal Singh, Minister of State, Ministry of Human Resource Development, launched a new initiative, Leadership for Academicians Programme (LEAP) today at New Delhi. 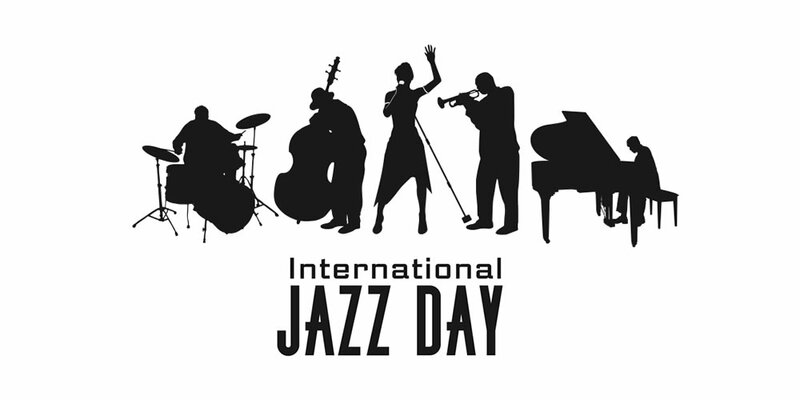 He also released an information brochure of the action. “Combining the qualities of a good teacher and an effective leader is a daunting but not an impossible task. 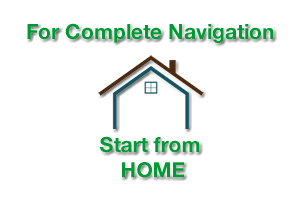 LEAP will fulfill this critical need,” the Minister said. Prakash Javadekar, Union Minister of Human Resource Development, in his video message lauded the initiative, which, he said, is set to transform the quality of teaching and improve leaders, thereby enhancing the quality of higher education institutions. The Secretary, Higher Education, the Chairman, University Grants Commission (UGC), Vice-Chancellors, Directors, heads of autonomous bodies, and representatives of LEAP training institutions, attended the launch. R. Subrahmanyam, Secretary, Higher Education, stated that this initiative is hugely significant as it will create transformative teachers and leaders. 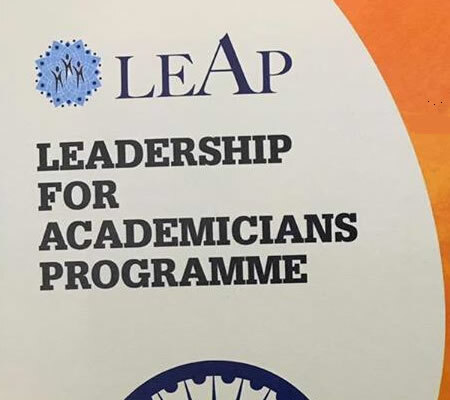 Leadership for Academicians Programme (LEAP) is a three weeks Flagship leadership development training programme (2 weeks domestic and one-week foreign training) for second level academic functionaries in publicly funded higher education institutions. 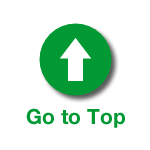 The primary objective is to prepare second-tier academic heads who are potentially likely to assume leadership roles in the future. The programme would provide senior faculty, with high academic credentials, the necessary leadership and managerial skills including skills of problem-solving, handling stress, team building work, conflict management, developing communication skills, understanding and coping with the complexity and challenges of governance in HEIs, financial & general administration. • In short, this Leadership Development Program aims to equip second level functionaries in Public Funded Institutions such as Deans, Heads of Departments, and Directors of Divisions/Schools with the leadership skills necessary for governance roles in higher education institutions. 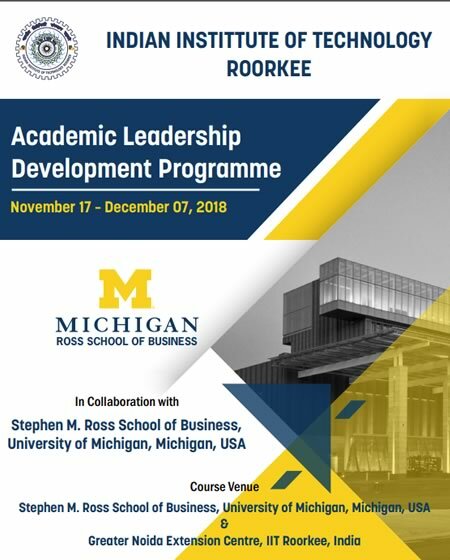 Photo: Brochure of IIT Roorkee conducting the programme in collaboration with the University of Michigan. Prof D. P. Singh, Chairman, University Grants Commission (UGC), has urged all Vice-Chancellors and Directors to encourage their eligible faculty across all disciplines to register and complete this refresher course.